Skomer is a 2.92 km² island off the Pembrokeshire coast, separated from the mainland by Jack Sound. 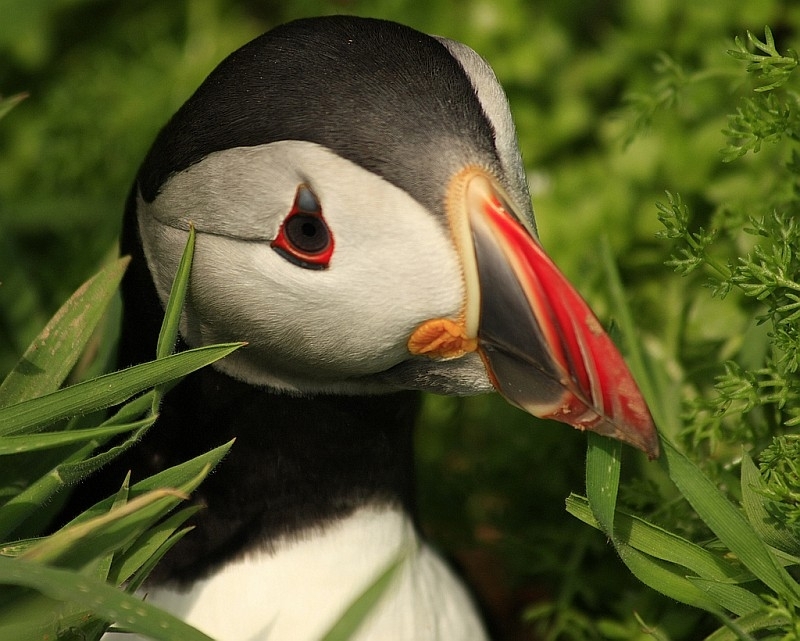 Skomer Island measures approximately 2.4 km (1.5 mi) north-south and 3.2 km (2 mi) east-west. Skomer is best known for its large breeding seabird population, including Manx Shearwaters, Guillemots, Razorbills, Great Cormorants, Black-legged Kittiwakes, Atlantic Puffins, European Storm-petrels, Common Shags, Eurasian Oystercatchers and gulls, as well as birds of prey including Short-eared Owls, Common Kestrels and Peregrine Falcons. The island is also home to Grey Seals, Common Toads, Slow-worms, a breeding population of Glow-worms and a variety of wildflowers. Harbour Porpoises occur in the surrounding waters. The Skomer Vole, a sub-species of Bank Vole, is endemic to the island. Boats sail to Skomer from Martin's Haven on the mainland, a 15–20 minute trip every day except Monday (Bank Holiday Mondays excepted) from April to October between 10am and 12 noon (actual times may vary). Return sailings are from 3pm but the boatman will advise on the day. There are limits on the number of people allowed to visit the island. Advance booking is not permitted and reservations are strictly on a first come, first served basis at the local shop at Martin's Haven and long queues can develop early each morning.